Tottenham starlet Dele Alli and Chelsea are well placed to clean up at the 2017 London Football Awards. After his spectacular breakthrough last season, the 20 year old has continued to fire his team into Premier League contention, bagging 11 goals in just 21 games. Alli’s marvellous form has seen him not only nominated in the Young Player of the Year award, which he won last year, but also for the Player of the Year gong. Chelsea, on the back of thirteen back-to-back wins and establishing a nine point lead at the top of the Premier League, have also dominated the nominee list, landing seven nominations. Chelsea boss Antonio Conte is in line for the Manager of the Year award, after taking his side from 10th place last season all the way to the summit of the Premiership. He will vie for the award with last year’s winner Spurs manager Mauricio Pochettino, Millwall boss Neil Harris, AFC Wimbledon’s Neil Ardley and Slavisa Jokanovic of Fulham. Chelsea goalkeeper Thibaut Courtois is nominated for Goalkeeper of the Year, and his main rivals for this award will be West Ham’s Darren Randolph and Tottenham’s Hugo Lloris. There are two Chelsea players up for Player of the Year. The effervescent N’Golo Kante and firebrand striker Diego Costa are vying for the honour with Alli and Danny Rose of Spurs, and Arsenal’s Alexis Sanchez. 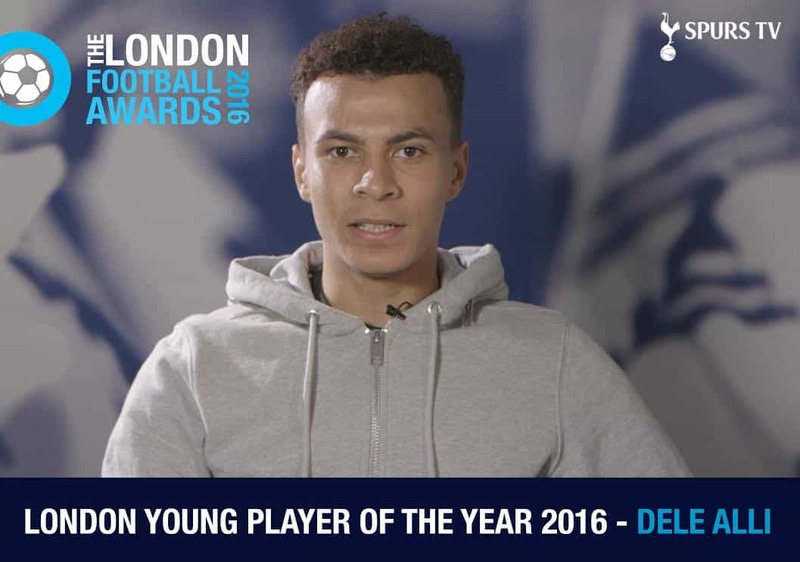 The Young Player Award list includes Alli, as well as two Arsenal players in Hector Bellerin and Alex Iwobi. Everton’s Ademola Lookman (formerly of Charlton until last month) and Fulham’s Ryan Sessegnon complete the line-up. With a total of eight awards on the night, the prestigious ceremony will take place on March 2nd at Battersea Evolution, in an evening that is fast becoming one of the top bashes in the football calendarl. 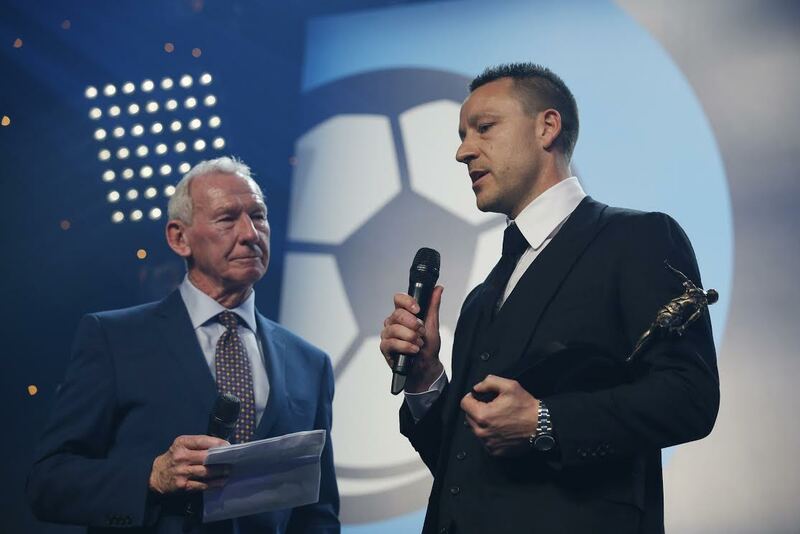 John Terry, Arsene Wenger, Dimitri Payet, Harry Kane and Aaron Ramsey have previously attended to pick up awards – and this year’s event will be sure to have the cream of the capital’s footballing talent – old and new. The LFA’s are selected by an esteemed panel of former-players, administrators and experts, and the end game is to raise funds for Willow – the only national charity to provide Special Days for seriously ill 16-40 year olds. 2016 saw £210,000 raised and hopes are high that a similar amount can be reached or bettered this year. Also to be announced on the night, will be the winner of Outstanding Contribution to London Football (sponsored by GM Real Estate), previously awarded to Chelsea’s John Terry and Arsenal’s Arsene Wenger.